Looking for your next opportunity in industrial sales? Partnering with qualified industrial sales recruiters is often the most effective path to follow. Unlike other candidates who choose to fend for themselves in the (often overwhelming) torrent of fellow applicants, teaming with industrial sales recruiters can instantly set you apart from other job seekers and help you effectively get the gig. Of course, simply teaming with industrial sales recruiters isn’t enough on its own to help you find your next hiring opportunity. 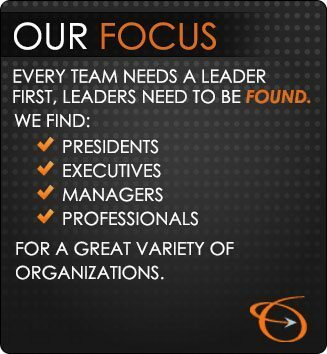 Just like any other professional partnership, it’s important to consistently strengthen your engagement with your recruiting specialists throughout the duration of your relationship to ensure that your chosen firm is always up-to-date on where you are at professionally and what type of hiring opportunity makes sense for your next move. Tip #1 – Make sure you’re teaming with industrial sales recruiters: This may seem like a veritable no-brainer, but it’s worth noting that the recruiting world is filled with hiring professionals who specialize in an extensive range of industries. 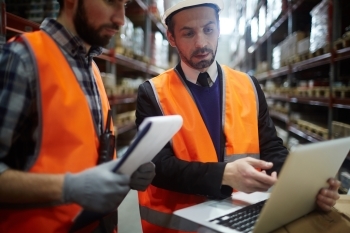 Moving forward with a firm that offers specific expertise in the manufacturing marketplace can help quickly get your resume in front of the right managers. Tip #2 – Schedule an in-person meeting: Want to make a lasting impression on your staffing professional and stand out from the swarms of other candidates he/she works with? Schedule an in-person meeting. Getting together for a quick coffee or lunch can give you the time you need to further discuss your specific hiring needs and help her find a great fit for your next opportunity. Tip #3 – Know what you want (and be honest about it): Whether it’s in-person or over the phone, it’s important to always be honest with your recruiting specialists. As a candidate, chances are you have a clear-cut outline of what type of job opportunity will work for you (and if you don’t…get one, stat! ); always be upfront with your recruiting team. It’s the only way to ensure you don’t waste time and energy on opportunities that you’re simply not excited about. Tip #4 – Know what you’re worth: Much like the job opportunity itself, it’s also important to know exactly what your salary parameters are. However, when discussing your salary expectations, it’s important to remember that your recruiter may be able to lend invaluable insight on current salary trends within your industry. Keeping an open mind and allowing your recruiter to negotiate on your behalf can help you land the best deal possible. Tip #5 – Show up: Once you’ve committed to following up on a position, it’s important to show up for all the necessary appointments throughout the hiring process. Phone screens, interviews, and any other type of interviewing/testing components require your follow through to keep you in the running as a prospective candidate as well as maintain the integrity of your recruiter’s reputation with the hiring manager. The Lawler Group offers candidates access to a team of highly skilled and experienced industrial sales recruiters in Milwaukee. If you’re looking for your next manufacturing sales position, the Lawler Group’s team of experts can help. Teaming with their recruiting specialists can help you make the right connections and land the best job for your professional needs.